We are Gianmarco & Martina Poli, founders and business-partners of Abruzzo Project since 2004, both graduated as building engineers at the Florence University (Tuscany). 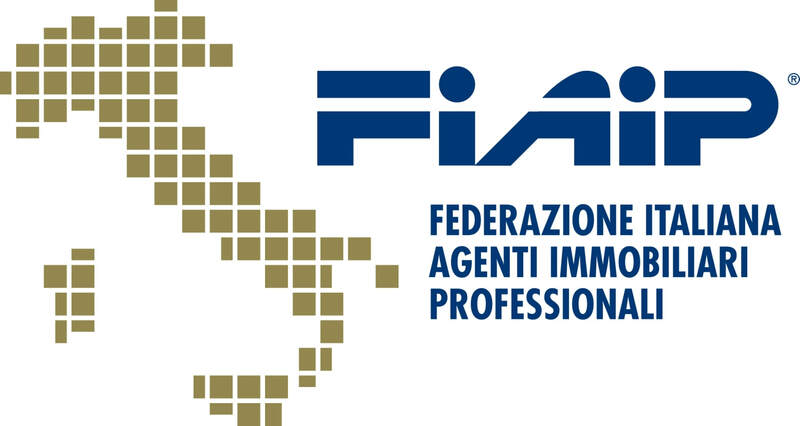 Abruzzo Project is also a qualified estate agency in Italy registered in the Chamber of Commerce of Chieti and Pescara. We both speak fluent English, so no problem to communicate with us in your native language! Experience, passion and vision are the guiding principals of the Abruzzo Project team. 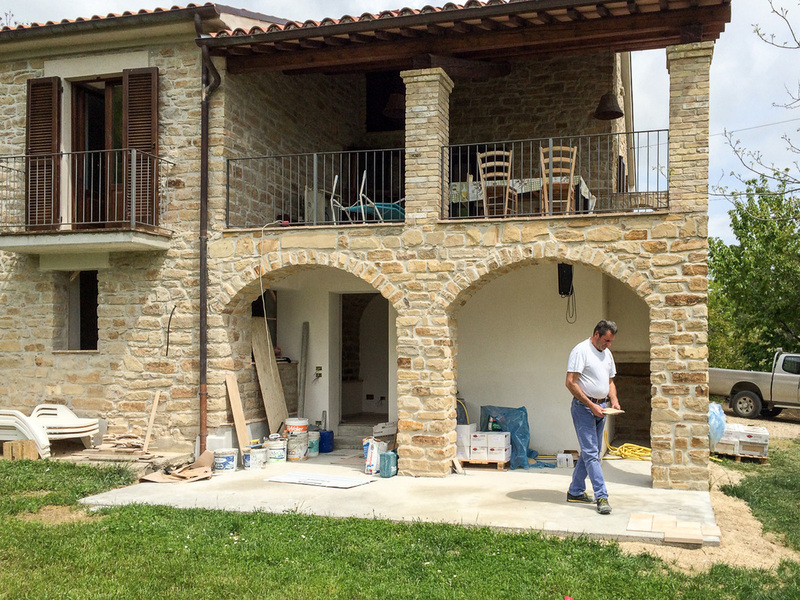 We offer any kind of services related to the purchase, renovation or construction of houses in Italy: from the property selection to its purchase, from the initial surveys to the concept design, from the architectural drawings to the structural design, from the planning applications with all the local authorities to the selection of the RIGHT BUILDER, from the project management to the works sign off. Among our strengths is a familiarity with the various aspects of the construction process. In addition to new building design, we specialize in the adaptive re-use of existing buildings with an emphasis on historic structures. In our projects we always try to be sympathetic to the character and structure of the building. 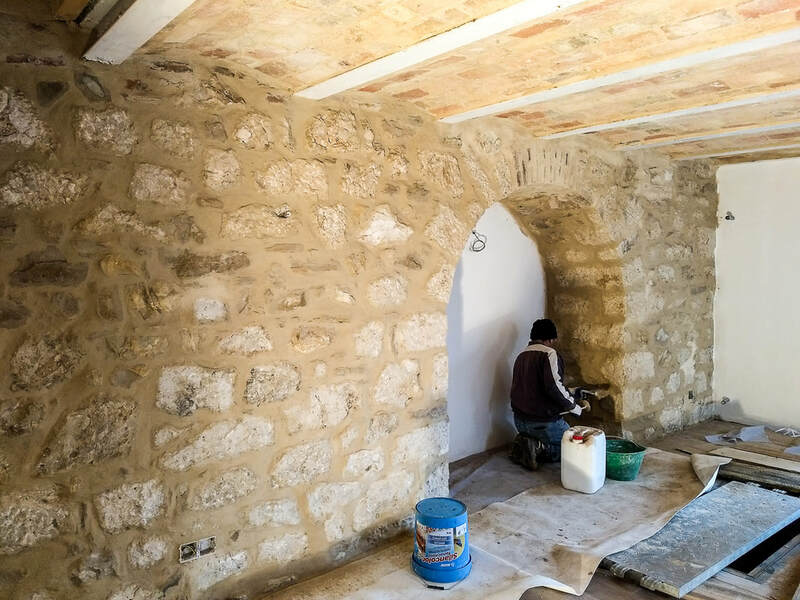 We place great attention on salvaging original materials like Terracotta bricks, Majella stones and wooden beams; when this is not possible we use the best quality replacements. In every project we also incorporate eco-friendly elements as enhanced levels of insulation, solar panels or sustainable and natural materials. Our services are customized to the specific needs of our clients and we are known for listening carefully to determine the needs and desires of the client. Our business has developed and grown based on the fundamental principle of creating customers for life. Our commitment to design excellence is balanced by rigorous economic discipline and quality control, always looking for quality of construction and reasonable prices. We strive for the optimal solution for every design challenge to create enduring buildings that balance ideals, program, aesthetics and budget. From programming through design and construction, our project teams are focused on our clients long-term success. We are a company that focuses on very few projects for which we provide personalized superior services to residential and commercial clients. Our project goals are to design the appropriate solution functionally and aesthetically in conformance with the client's program and budget while maintaining compatibility with the immediate environment. The design methodology encourages client participation and collaboration with consultants and contractors to create the highest quality product. Whether the budget is large or small, we pride ourselves on creating the most architectural value possible for our clients. Our main goal is the smooth delivery of all projects, regardless of size, on time and within agreed budget, ensuring that our client requirements and expectations are exceeded. We can deal with all your project management requirements and full design services, from new constructions and full renovations to small scale projects. To ensure the success of your project, we encourage and maintain cooperative working relationships with contractors, provide a complete set of plans, and continuously track and evaluate project costs and schedules.